The SNP are correct, Scotland is just as capable of running its own affairs as Norway & Greece. The SNP are correct, Scotland is just as capable of running its own affairs as Norway, Greece, Sweden or Spain. The point is that Scotland chooses not to, and the majority of Scots don’t want a second referendum on the issue. I’m quite proud to say that I was a key part of the grassroots campaign to keep Scotland in the UK. I spent some time looking at both sides of the argument before deciding that remaining in the UK was the best way of protecting jobs and services. I understood the many arguments made for and against Scotland leaving the UK, but the fact that there was no independent analysis that showed Scotland would be better off outside the UK spoke volumes to me. 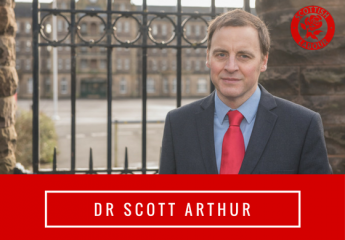 So much so that I campaigned right across Edinburgh to protect our hospitals, schools and universities. This does not mean I don’t respect those who voted differently for their own reasons. I hope, however, that they also respect my position with equal measure. Well over two years since the 2014 referendum, politics in Scotland has not moved on. The political debate is dominated by “unionists” and “nationalists”, and most ordinary Scots are stuck in the middle. The threat of a second independence referendum hangs over Scotland and, despite Brexit, the economic benefits of independence are still unclear to most Scots. I now think it’s perhaps time to do what other countries do and focus our energy on fixing health and education. Indeed, Scotland already has the power to ensure we have the best education system in the world. Let’s focus on making that a reality, not reheating stale arguments from 2014. Let’s be defined as a country by our willingness to invest in our children’s future, not by a national obsession with constitutional arguments. ← Housing Crisis? 5,000 privately owned properties are lying empty in Edinburgh. I agree that the federal system would be best in that the regions of the UK have diverse needs. There would also be the added bonus of the teeth being pulled from the SNP as I am convinced that most Scots would prefer quasi autonomy to full independence.